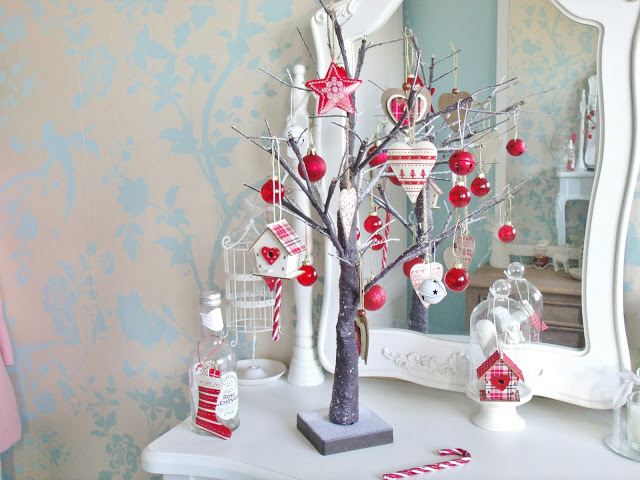 I was recently invited by Ocean to take part in a blogger project to pick some of my favourite Christmas home decorations for a total of up to £50. 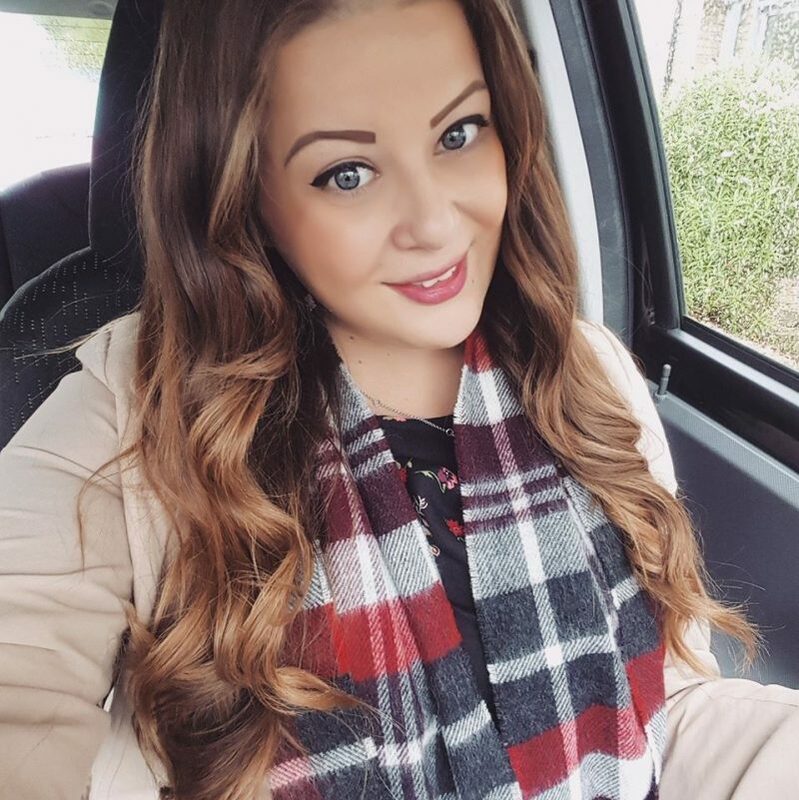 I’m actually quite impressed with how much £50 can get you when you shop in the right places! I’ve wanted one of these naked little twig trees for ages and I was even considering making my own from branches found in the park! But this was much easier and more practical, and it has the added benefit that it has built in fairy lights! How cute! Can you believe it was only £7.99 from B&M? I’ve seen other stores selling these for around £20 so I’m very pleased with my first festive purchase. I’ve decorated it with smaller sized baubles and decorations, including these pretty little heart shaped fairisle print ones from Sass and Belle. Our Christmas theme seems to be red/white and Nordic this year, so these decorations fit in nicely! Doesn’t it look sweet with the lights turned on? 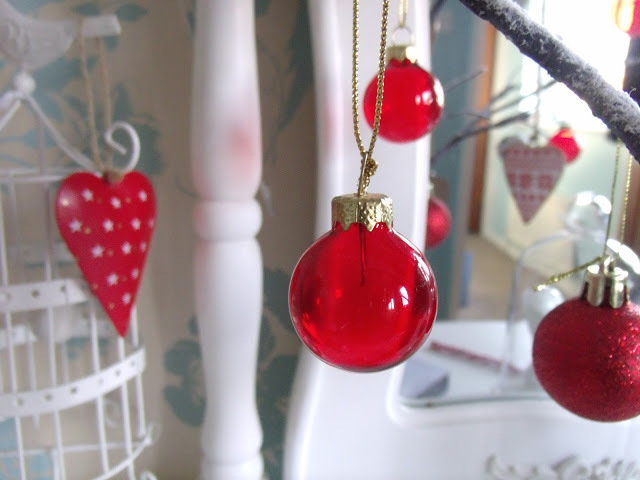 I also bought a set of six of these lovely mini glass baubles for only £1 from a local charity shop. They’re the perfect size for my mini Christmas tree! 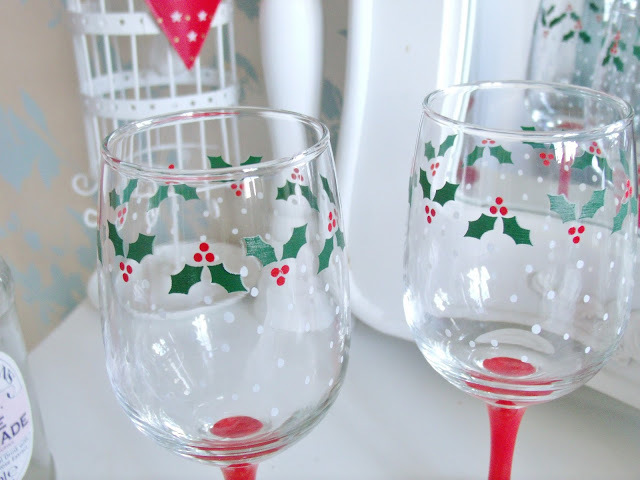 Another charity shop purchase, I couldn’t resist these slightly tacky kitsch festive wine glasses! They were only £1.50 for a set of six! 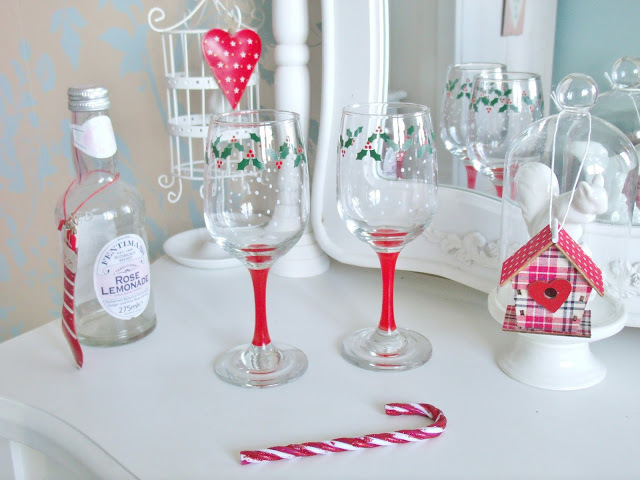 Who wouldn’t want red stemmed glasses decorated with holly on their Christmas dinner table? Another bargain buy! I thought these little ceramic tealight holders were just so beautiful. 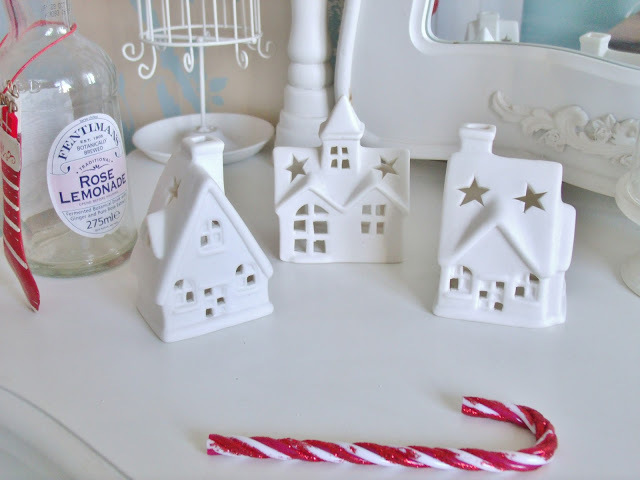 The three of them are from dotcomgiftshop and there’s a few more so you can build up the collection to make a cute little village! I might end up keeping these out all year round.. 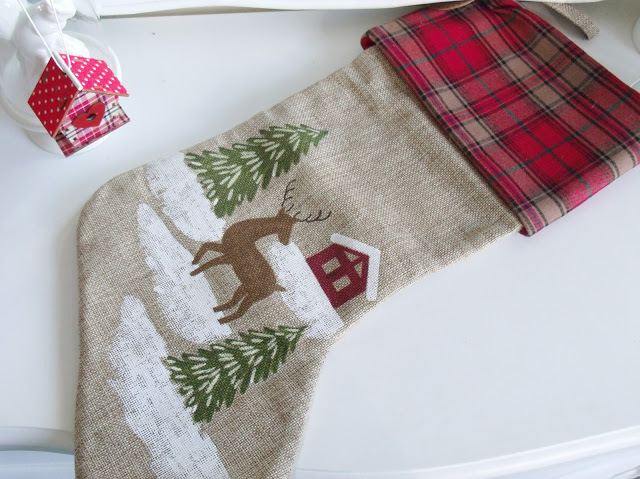 This tartan trimmed stocking fits in nicely with the theme too, and I think it will look lovely hanging on the fireplace. This is from Sass and Belle and is the perfect size for Santa to leave lots of goodies! 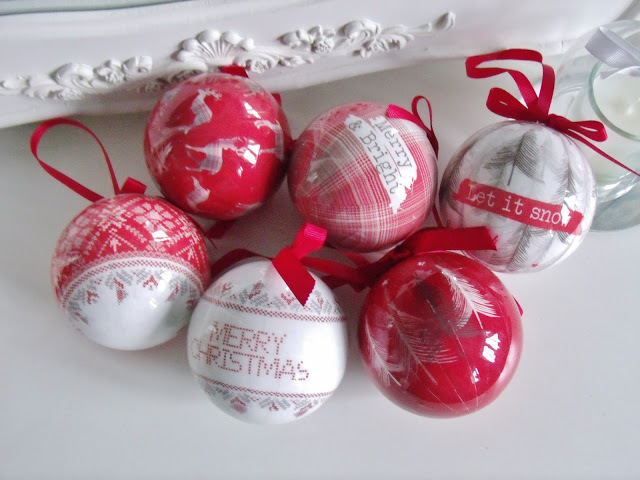 I felt like we needed some new baubles for our big tree this year and I thought this set of six red and white alpine themed ones from Next would be perfect! They were only £8 for the set and they feature all different designs including stags and fairisle print. 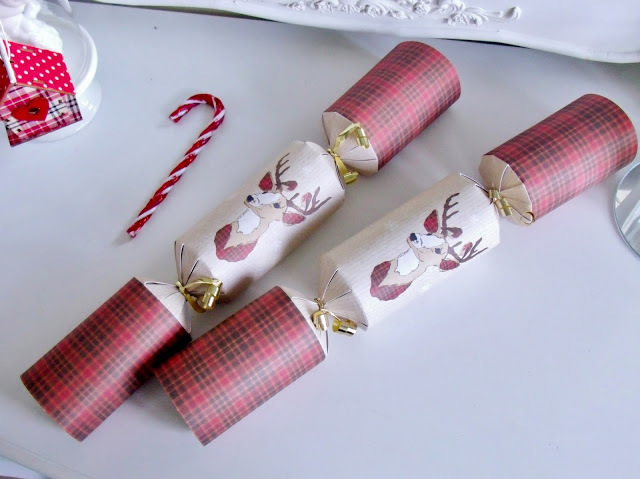 And finally, to match the stocking I found these lovely rustic Christmas crackers in Dunelm. They were only £5 for a box of 12 and I love the tartan print and the stag design! And if you’d like to discover your own personal home style, check out this fun Room for Change game to find out what decade your style belongs in! Mine came up as 1940s – a mix of cosy with contemporary style; what’s yours? 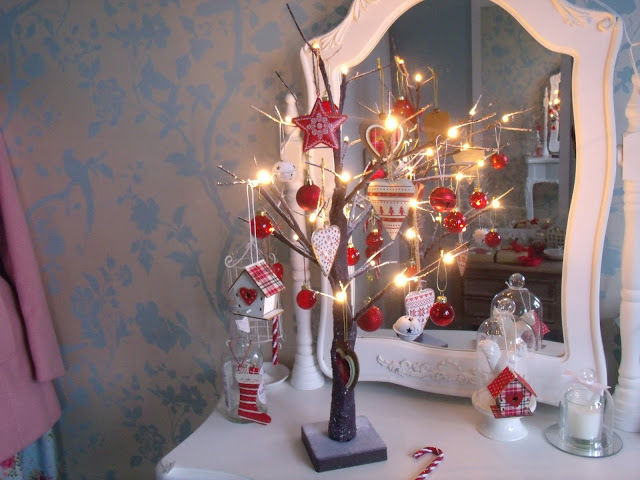 Everything is so adorable and festive – love it ! !